The hardware for this build is a traffic light table lamp available on Amazon for twenty bucks. Inside this traffic light, you get a PCB with three LEDs and a small microcontroller to control the LEDs. The microcontroller isn’t used in this case, instead the microcontroller is removed and a few wires are soldered up to the base of the transistors used to drive the LEDs. The other ends of these wires are attached to a trio of pins on a Raspberry Pi Zero W, giving this traffic light table lamp Linux and a connection to the Internet. On the software side of things, we’re looking at a Docker container running a Python script that fetches the latest Bitcoin price from Coindesk and calculates the change from the previous fetch of the price of Bitcoin. This data is shuffled off to another Python script that actually changes the LEDs on the lamp. 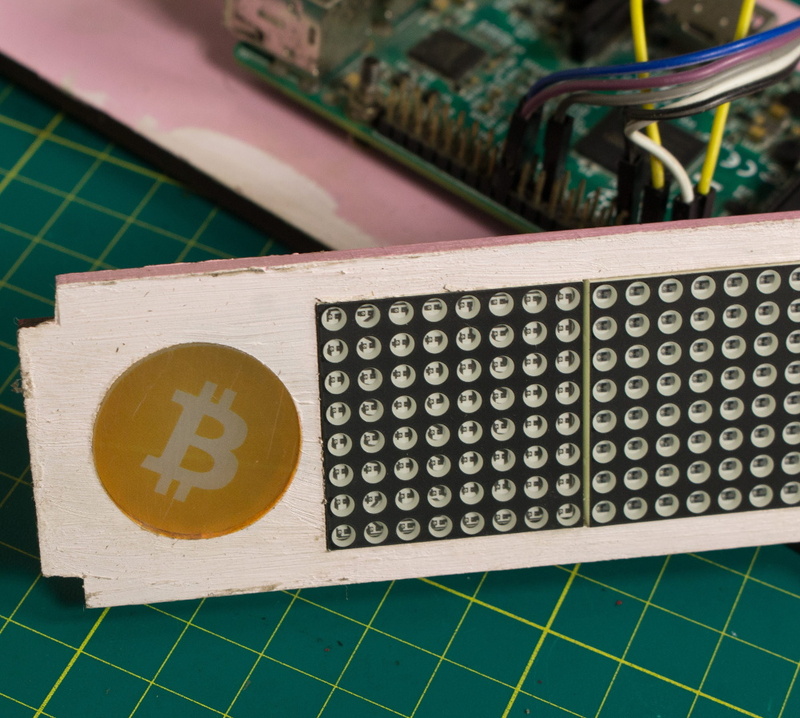 Sure, these days a ‘bitcoin price tracking traffic light’ is as simple as connecting a red LED to a battery, and if you’re feeling extra fancy you can add a 220 Ω resistor. But this is a project that’s so well executed that we’ve got to give it a tip ‘o our hat.